WHAT IF . . . The Roman Empire had never fallen? Better yet – what if the Roman Empire not only continued to exist but conquered Europe and then decided to invade the American Continent? Well, in Clash of Eagles that is exactly what Alan Smale sets out to explore. In this “what if” world, Rome has continued to grow. In the east, it is confronted by the Chinese Empire. In the west, it has followed rumors of gold across the wide sea to a new world inhabited by savages. Leading the Roman expedition of conquest is Praetor Gaius Marcellinus, who lands in what is obviously the Chesapeake Bay region before discovering that the cities of gold lie far away across the mountains. With the whole success of the expedition (not to mention his career) on the line, Gauis sets his army into motion with native guides determined to transverse the wild, forested lands, cross the distant Allegheny Mountains and reach the flood plains of a huge river where the natives say the people build mountains filled with gold. As the march drags on and on, the Romans begin to be worn down; sweltering heat, overgrown virgin forests, the lack of roads, and war-like natives sucking all hope from their weary limbs. Once the column enters the land of the Iroquois things become even worse, as these fierce fighters constantly stalk the Roman column, slinking within the shadowy undergrowth just out of sight, waiting to silently ambush and kill scouts, hunters and any Roman unlucky enough to be separated from the group. But Gauis Marcellinus will not be deterred by the harshness of the conditions, because the lure of golden cities along the Mississippi River calls to him and he is determined to claim them for Rome’s new western empire! Clash of Eagles is one of those alternative history novels that takes the familiar, mixes in a few surprises, and creates a plausible world filled with amazing variety. What I mean by that is here we have authentic Roman soldiers existing in a very traditional North American continent, but into this familiar scene, Mr. Smale mixes in new technologies, different historical events, and the imaginary clash of two cultures that had no (or limited) contact with one another in real life, yet he presents it in such a way that it never sounds outlandish at all! A good book is only as good as its main character though, and Mr. Smale gives readers a fine one in Gauis Marcellinus. He is definitely a Roman, a fighting man, and a conqueror, but as the story evolves, he begins to show other parts of his personality. He shows honor, humility, love, and forgiveness. And through Gauis’ evolution, the whole tale of the clash of different cultures comes alive. But this is a novel that promises combat between Roman legionaries and tomahawk wielding Native Americans, right? And I’m sure some of you are wondering if Clash delivers on that tantalizing vision. Well, don’t be concerned, because it does. There is battles galore within these pages. Each one blood soaked affairs, filled with enough strategy and bloodletting to keep the adrenaline pumping and the nerves twitching. But be warned, these are a thinking mans fights, not so fixated on minute details of every duel that the battles read like a “How to Fight Like a Roman Legionnaire” manual. And just to liven things up even more, Mr. Smale adds in some Native American weapons and fighting techniques that not only surprise Gauis and his Romans but the reader as well! Even with all that gushing, however, I have to admit that Clash of Eagles did have a few problems that detracted from my enjoyment. First, this is a one horse story, in that Gauis Marcellinus is the only character that really develops. While I fully enjoyed his viewpoint, I just believe that someone else’s viewpoint (perhaps a Native American?) would have lent a great deal to the narrative as a whole. Two, the technological achievements of the Native Americans were never really explained. I thought they were great additions to the story, very creative on Mr. Smale’s part, but there didn’t seem to be any basis for them. What I mean, is that usually technology progresses steadily from Point A to Point B, leaving behind signs of its progress. But in Clash, the Native Americans just have some really cool technology without any lead up to it. Three, I love alternative history for the . . . cool history! So while I didn’t want Clash of Eagles to be a history book, I still would have like Mr. Smale to have spent a little more time telling me how the Roman Empire’s timeline diverged from ours, why it survived, and some other “What If” factual context such as that. I mean, the absence of this didn’t ruin the story at all, but I personally think its inclusion would have made the novel even better. Four, even though the Romans were in no way shown as technologically superior in every way to the Native Americans, the later parts of the story spent too much time portraying Gauis as the white man bringing modern technology to the red-skinned natives. It probably wasn’t as bad as I just made it sound, but our favorite Praetor does a lot of teaching things to the natives. Not bad in and of itself, just overdone a little bit in my opinion. No matter my complaints, I felt Clash of Eagles was a well written, engaging alternative history story that mixed an exciting “What If” scenario with a brilliantly described Native American background. By the end, I not only found myself entertained but craving to know more about the Native American culture that was portrayed so vividly. And that is why I’ll be following this series going forward. 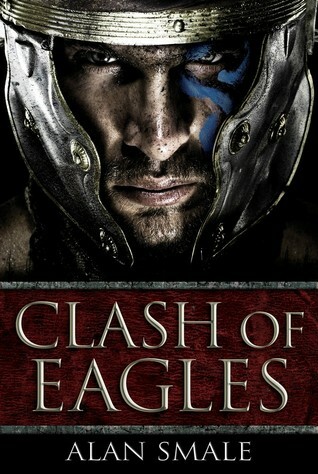 Buy Clash of Eagles (The Clash of Eagles Trilogy) at Amazon. 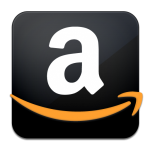 This entry was posted in 4 Stars, Alternative History and tagged Alan Smale, alternate history, alternative history novels, Clash of Eagles, Gauis Marcellinus, Native Americans, Roman Empire. Bookmark the permalink. I’ve been waiting to see reviews of this one! I’m honestly on the fence a bit, I can be a bit funny with alternative history. The concept of Native Americans fighting Romans is a bit intriguing, I just suspect the technology aspect of it *might* irk me. Probably have to read it myself to know for sure though. 🙂 Never a bad thing. I started reading this yesterday. Not as bad as I feared so far. Great review as usual. Thanks. Hopefully it grows on you like it did me. Thanks for the review, I wasn’t sure about this one so I’ve been waiting for someone to do a write up of it. Sounds good!